14th Annual event takes place April 8-14th in collaboration with Roger Williams University. 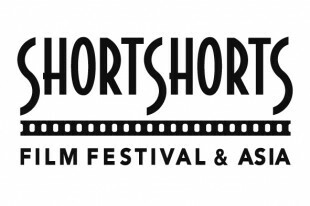 Highlights include major international shorts and features, and documentaries and a celebration of the arts. Tom DeNucci is the recipient of the 2013 Rhode Island International Film Festival Robert Burgess Aldrich Award, named for the heralded director of the 1967 war masterpiece The Dirty Dozen. Like Mr. Aldrich, DeNucci also hails from Cranston, Rhode Island, USA. If DeNucci's career thus far is any indication, the young Director and Actor will be a worthy successor to Mr. Aldrich's legacy and a prominent voice for his own generation. 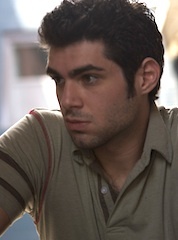 For DeNucci's Almost Mercy (2015), Scott Hallam of dreadcentral.com proclaims: "DeNucci holds nothing back on this one. Almost Mercy confronts major social issues and does so in a way that's delicate, but also quite powerful, and deals them into a revenge-thriller that's actually empowering for the viewer." DeNucci plays a member of boxer Vinny Pazienza's entourage in Bleed for This (2016), which stars Miles Teller (Whiplash) as Pazienza and Aaron Eckheart (Erin Brokovich) as "Paz's" trainer. Directed by Ben Younger and executive produced by Martin Scorsese. In action films, Tom and Ultimate Fighting legend Chuck Liddell wreak havoc as ruthless mercenaries in Altitude (2016), a film that stars Dolph Lundgren (Drago from Rocky IV) and Denise Richards (Wild Things). In Blue Line (2015), DeNucci plays a drug dealer on the edge, under siege from a hard as nails cop played by Tom Sizemore (Saving Private Ryan). As versatile as he is prolific, DeNucci's resume also includes forays into family films. As Director, his Arlo the Burping Pig (2016) tells the story of a lonely, young girl and the adorable teacup pig she adopts as a pet. Tom lends his acting talents to Christmas All Over Again (2016) as Francisco, a wild wedding planner. Ringing in 2017 Tommy directed The Santa Files (2017) telling the story of a group of kids from Norpole, Maine and their search for Santa Clause. Now slated , Vault, is his next film following the story of a famous Providence heist in the 1970's. 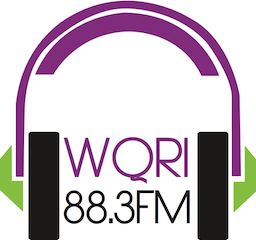 Imagine Magazine named Tom DeNucci as its 2015 Shooting Star Award Recipient. As DeNucci's own unique path continues, one might imagine that Mr. Aldrich himself would be impressed by the young man following in his film footsteps from Cranston to Hollywood. This program is presented by the RWU Hawk's Herald and is a free event. Kevin Lima (Disney’s “Enchanted”) for the PBS series, "doubleFEATURE." Most recently, Steven has lured highly prestigious projects such as the upcoming thriller, THE DISCOVERY; with Robert Redford and Rooney Mara, the Martin Scorsese’ production BLEED FOR THIS, Jack Black in THE POLKA KING and many other outstanding films including Wes Anderson’s MOONRISE KINGDOM; Woody Allen’s IRRATIONAL MAN and the Golden Gobe nominated INFINITELY POLAR BEAR starring Mark Ruffalo. He just facilitated crime thriller, “The Vault” shot in Providence. 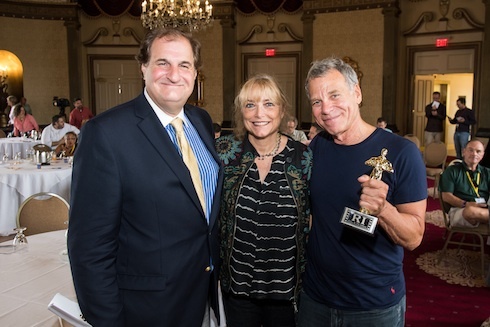 To date, Steven Feinberg has brought well over $400 million of film and television production into Rhode Island’s economy and provided $700 million of overall activity into Rhode Island’s economy as well as thousands of jobs for local talent and crew. This success in Rhode Island has reverberated across New England, and now the Ocean State’s neighbors are also prospering in the film/television industry. He has also created several promotional films for the State of Rhode Island Film & TV Office and wrote-directed-produced the award-winning documentary, PELL. 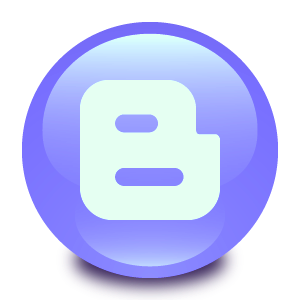 www.rifilm.com. This program is presented by the RWU HAWK’S HERALD and is a free event. Marguerite | Directed by: Marianne Farley | 19 min. | Canada, 2018. Fauve | Directed by: Jeremy Comte | 16 min. | Canada, 2018. Set in a surface mine, two boys sink into a seemingly innocent power game with Mother Nature as the sole observer. Late Afternoon | Directed by: Louise Bagnall | 9 min. | Ireland, 2018. Emily drifts through her memories, reliving moments in her life. She exists between two states, the past and the present. One Small Step | Directed by: Bobby Pontillas | 8 min. | USA, China, 2018. Weekends | Directed by: Trevor Jimenez | 15 min. | USA, 2018. 'Weekends' is the story of a young boy shuffling between the homes of his recently divorced parents. Surreal dream-like moments mix with the domestic realities of a broken-up family in this hand animated film set in 1980's Toronto. • Plus a Sneak Peak of a world premiere short that may be a potential nominee for 2019! and their reconnection with the tradition of their forefathers. Introduced by Adjunct Professor George T. Marshall and the Rev. Nancy Hamlin Soukup, University Multifaith Chaplain, RWU. The fine line between the Human World and the non-Human world is not drawn in harmony. The Wild Animal Hospital is that line and when wild animals arrive there, they are usually broken, poisoned or starving. This is a film about the small group of people that spend their life trying to save those animals, while knowing that in many cases, the animals will not survive in the wild, forcing the doctors and caretakers to make tough decisions. A Night at The Garden | Directed by: Marshall Curry | 7 min. | USA, 2017. In 1939, New York's Madison Square Garden was host to an enormous -- and shocking -- gathering of 22,000 Americans that has largely been forgotten from our history. End Game | Directed by: Jeffrey Friedman, Rob Epstein | 40 min. | USA, 2018. Veteran filmmakers Epstein and Friedman return to their documentary roots, filming and editing in intimate verite-style, following visionary medical practitioners who are working on the cutting edge of life and death -- and dedicated to changing our thinking about both. Lifeboat | Directed by: Skye Fitzgerald | 34 min. | USA, Malta, 2018. How far would you go to save a stranger's life? Exploring the crisis of refugees desperate enough to risk their lives in rubber boats leaving Libya in the middle of the night and pushing off into the unknown, despite a high probability of drowning. “The Happiest Man“ tells the story of a personal journey. A 24-year old woman flies from 2 Germany to Sydney, Australia, to portrait the 94-year-old Holocaust survivor Eddie Jaku, who after more than thirty years of silence speaks to people from all walks of life about his experience. By sharing his life story he transforms the pain of the past into joy and happiness and teaches especially younger generations how happiness can be found, even in the darkest of times. David’s Voice | Directed by: Graham Hill | 14 min. | USA, 2018. Inside the Wardrobe | Directed by: Sebastien Carfora | 27 min. | France, 2018. In a world where appearance is more important than what’s inside, Frank lost everything and now lives in the street. Like | Directed by: Brian Luco Peña |15 min. |USA, 2017. A quiet poetic short film, following a fashion model named Juliana who uses social media to feel a sense of emotional validation. Only a Movie | Directed by: Teddy Cecil | 17 min. | USA, 2018. Transmitter Receiver | Directed by: Vincent Wilson | 9 min. | Canada, 2018. In order to escape the monotony and boredom of the end of the school year, a young boy fabricates a transceiver-receiver to communicate with strangers in the sky. 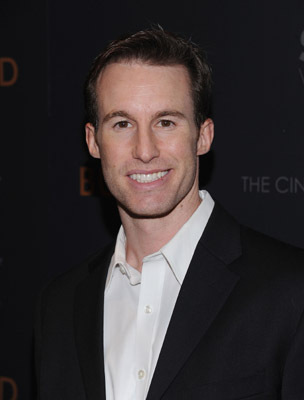 Chris Sparling wrote the 2010 film BURIED starring Ryan Reynolds, for which he won "Best Original Screenplay" from the National Board of Review of Motion Pictures. His Black List script, ATM, was produced by Gold Circle Films and released by IFC Films in 2012. His feature directing debut, the supernatural thriller THE ATTICUS INSTITUTE, was released in early 2015 by Universal Pictures. THE SEA OF TREES, which he wrote and produced -- starring Matthew McConaughey, Namoi Watts, and directed by Gus Van Sant -- was nominated for the Palm d'Or at the 2015 Cannes Film Festival and contributed to his selection to Variety's annual list of "10 Screenwriters to Watch." After adapting the novel DOWN A DARK HALL for Temple Hill and Lionsgate Films, he is now adapting LAND OF THE LIVING for Broad Green Pictures. His latest film MERCY, which he wrote and directed for Netflix, was released in 2016, and he will produce the film, BED REST for MGM. 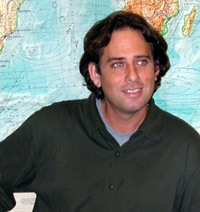 Duncan Putney is an accomplished actor, as well as an award winning screenwriter and producer. A graduate of the University of Massachusetts at Amherst where he studied both business and theatre, Duncan works as a professional actor in film, television, stage, and television commercials and can be seen in such films as "The Judge," “Mystic River,” “R.I.P.D.,” “The Town,” and “Brilliant Mistakes,” as well as TV commercials for Papa Gino’s, Budweiser, and others. Always writing, Duncan began to follow that passion professionally and starting in 2003, his work began to get some notice. His writings have gained honors at the International Family Film Festival, the Going Green Film Festival, the Woods Hole Film Festival, the ScreenCraft competitions, the New England Emmy Awards, the Spotlight on Rhode Island Screenwriting Competition, the Dixie Kane Memorial Writing Competition, and others. In 2009, Duncan and long time friend Andre Stark formed Original Concept & Development Associates to develop and produce their own projects. Currently they have several television projects in the development and pre-production stages. Their short film/TV pilot “HALF PINT” took home a Van Gough Award at the 2014 Amsterdam Film Festival and is screening in WW2 museums across the US and in Normandy. His short "THE LESSON" is currently in pre-production with Roman Media. He is represented by Casey at Maggie Inc., a SAG-AFTRA franchised agent. As You Command | Directed by: James Cunningham | 8 min. New Zealand, 2017. A clumsy painter uncovers a genie with plenty of wishes to offer but no amount of luck can change his ability to screw things up. Hey Katie This is Josh | Directed by: Avia Kaye & Jay Lees | 9 min. USA, 2018. Josh struggles to call a girl he recently met. NeckFace |Producer: Barry Castagnola | 11 min. United Kingdom, 2018. The happiest day of a girl's life is when she vows to honor and obey her inner-Bridezilla. After We Have Left Our Homes | Directed by: Marc Adamson | 8 min. United Kingdom, 2017. In an alternate future governed by an oppressive dictatorship where music has been outlawed, a man keeps a secret stash of music hidden until he is caught and imprisoned. Super Nice | Directed by: Jack Yabsley | 8 min. Australia, 2017. Mr. Chuckles | Directed by: Mario Garza | 6 min. Germany, 2018. Elena pays a surprise visit to her sister Vicky with the hope to reconcile with her. Man with Beard | Directed by: Abie Axen | 10 min. USA, 2017. He is a man. And he does have a beard. Jasper | Directed by: Scarlett Urbano | 21 min. |USA, 2018. Jasper, a young, lovelorn inventor, strives to create a time machine to win back the woman he thinks is the love of his life. This week on doubleFEATURE, we journey through three powerful and complicated short films, including “Frame 394” by Candian director Rich Williamson; “LAST DOOR SOUTH” by director Sacha Feiner of Belgium and France; and “Father’s Day Breakfast” by American director Natalie Simpkins. 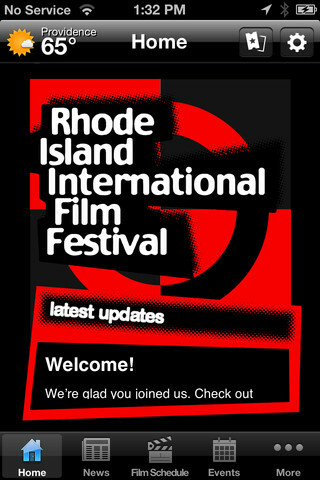 Each week, “doubleFEATURE,” the 60-minutes series on RI PBS, presents award-winning short films that have premiered at the Flickers' Rhode Island International Film Festival (RIIFF) over the past 20 years along with topical industry interviews. first annual Open Mic Night in partnership with Musician’s Guild will be a night to remember. and Small Talk along with a few surprise guests. • Hawkward is a co-ed auditioned a cappella group at Roger Williams University firmed in 2010. Hawkward has performed all over the northeast, putting our name out there through concerts, invitationals, and many other gigs. Hawkward has had the pleasure of opening for Jay Leno at the Providence Performing Arts Center twice, in 2015 and 2018. Looking forward, Hawkward is looking to compete next year in the International Championship of Collegiate A Cappella hoping to make a larger name for ourselves. • Small Talk formed in 2017 in Bristol, Rhode Island. Kaylee Pugliese, singer, and Colby Masse, lead guitarist, co-founded the band. They have been bringing more live music to campus ever since! “Those Who Come, Will Hear” proposes a unique meeting with the speakers of several indigenous languages of Quebec – all threatened with extinction. An Indian Girl Scout troop is abducted by a terrifying psychopath. She uses the skills of her many achievement badges to escape and serve up a scorching retribution. and with nowhere left to go, Mariam, a teenage Muslim comes to get help from a Catholic Priest. Lotte That Silhouette Girl | Directed by: Carla Patullo, Elizabeth Beecherls | 10 min. | USA, 2018. This stunning film explores the life and times of a woman who is finally being given her due. Futures | Directed by: Daniel Marc Janes | 13 min. United Kingdom, 2018. A tense moral thriller about fast money, predatory behavior and abuse of power in the workplace, starring Craig Parkinson (FOUR LIONS, CONTROL), Luke Newberry (BAFTA nominated for IN THE FLESH) and Ria Zmitrowicz (THREE GIRLS). Fish Tank | Directed by: Neal Mulani | 6 min. USA, 2017. Bloom | Directed by: Kieran Wheeler | 7 min. Australia, 2018. When Andrew comes home from a weekend away and finds a single rose petal in his bed, he becomes convinced that his girlfriend has cheated on him. Fire On The Hill | Directed by: Brett Fqllentine | 85 min. USA, 2018.
that burnt down the community’s stables, leaving the fate of the culture in question. Commissioned and developed by The Civilians, this musical about the Evangelical movement is based on interviews with actual people. “‘The Civilians' project looks at Colorado Springs as a microcosm of issues facing the country as a whole — the shifting line between church and state, changing ideas about the nature of Christianity, and how different beliefs can either coexist or conflict within a community." Abdullah and Leilah | Directed by: Ashtar Al Khirsan | 20 min. | United Kingdom, 2017. Haunted by the memories of his childhood in Baghdad, Iraq, Abdullah has dementia and struggles to communicate with his daughter. Bea | Directed by: José Esteban, Pavlovich Salido | 13 min. | Mexico, USA, 2017. Seven-year-old Béa’s world changes as her young mother tries to reconnect with her estranged aunt in this love-letter to misunderstanding. Black Hours | Directed by: Wendy Pillonel | 29 min. | Switzerland, 2017. What are the consequences of an immolation by fire? Can radical action really change things? Blackout | Directed by: Serena Gardner | 9 min. | United Kingdom, 2018. Fundamental | Directed by: Shihchieh Chiu | 7 min. | Taiwan, 2018. The story of a teenager who discovers the strange and terrifying reality behind fundamentalism. Inhale | Sean Mullan | 15 min. | Directed by: United Kingdom, 2018. Through horses, a man feels an irrepressible duty to move in harmony with his pain. Joy | Directed by: Xavier Deranlot | 15 min. | France, 2017. How a couple’s drive to death and self-destruction finally appears to be the only possible outcome of their fate. Is it possible to stage a wedding with someone who really loves you? My ‘Friend’ Mick | Directed by: Ankiush Jindal | 14 min. | USA, 2018. Niall and Mick are two struggling psychiatrists. To make money, Mick devises a plan to befriend people and convince them he is not a real person, a figment of their imagination. Real Lemons | Directed by: Julian Buchan | 16 min. | USA, 2018. 'Real Lemons' is a dark and tender character-driven story about two brothers in modern-day rural California. Hardened ex-convict Jesse, openly gay to those he trusts, ropes his high-spirited and naive younger brother John into committing a robbery so they can leave their old life behind. Tooth and Nail | Directed by: Sara Shaw | 20 min. | USA, 2018. A sister makes a bargain with her terminally ill brother. TRANSMISSION | Directed by: Tom Hancock | 17 min. | United Kingdom, 2017. After decades of malcontent and economic decay, a nation chose to burn. From those ashes, Britannia rose. Work | Directed by: Sam Griffith | 10 min. | USA, 2018. A young mom questions her choices and identity while raising her daughter on a farm. All programming for the Festival has been produced by students in the Curation and Film Production Class that includes: Faisal A. Almowisheer, Adam Carceller, Adam E. Charles, Augusto L. Gardel, Kaitlin R. Kowalik, Alexandra E. Lindell, Allison K. McPhail, Alicia Moore, Philip G. Neamonitis, Colin P. Quaglino, Kayla S. Sokolowski, Cynthia O. Souza, Chelsea M. Wieland, Piper K. Wilber, Peyton S. Williams, and Gabrielle W. Wilson.